Wendy started her career in Fee-Only financial planning in 1994 while completing her Bachelor of Science degree in Business Operations. She earned her CERTIFIED FINANCIAL PLANNER™ certification in 2002 and joined Summit in 2004. She recently obtained her Chartered Advisor in Philanthropy ® (CAP®) designation from The American College. She leads Summit’s tax committee and administers Summit’s expert system for reviewing client portfolios. Wendy specializes in wealth management for non-traditional families, income tax planning, charitable planning, and creating comprehensive plans for families considering retirement. Wendy is a member of the Financial Planning Association (FPA), and the National Association of Personal Financial Advisors (NAPFA). She is a member of the Professional Council of The Columbus Foundation and is passionate about helping people transition from success to significance. 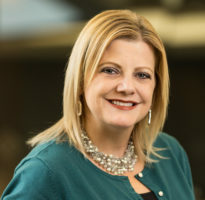 She has lectured students at The Ohio State University on Alternative Minimum Tax planning and strategies and has spoken at a national conference regarding the implementation and utilization of portfolio management software. Wendy is a native Northwest Ohioan and has lived in the Columbus, Ohio area for more than twenty years. Outside of the office, Wendy is an active volunteer and fundraiser in several charities. She enjoys reading and participating in her children’s school and athletic activities.